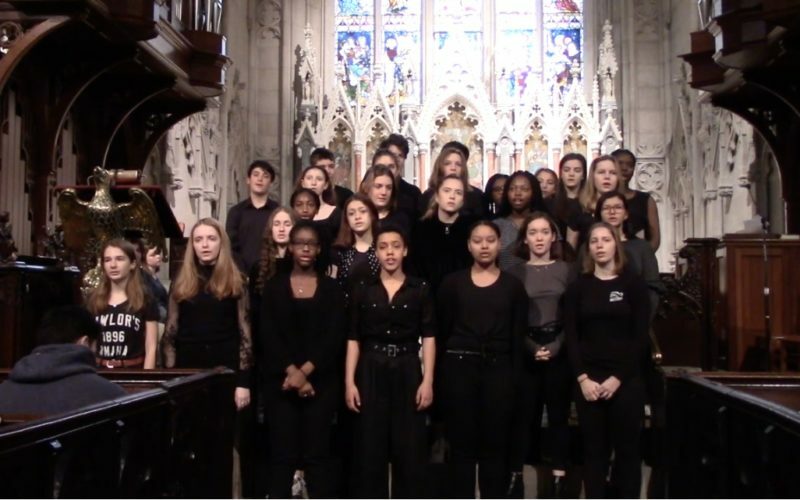 During High School Chapel on January 17, the GraceNotes performed the song “Shine,” written by Parkland County School shooting survivors. The focus of chapel was about gun violence, a topic close to the hearts of the Grace community following the senseless shooting of faculty member Elizabeth Lee one and a half years ago. this was a beautiful moment for the Grace community. Thank you, GraceNotes and Mr. Leonard for helping us all to heal and Shine.